A 2-year-old California boy is recovering today after he was accidentally served a margarita while dining out with his family at Applebees. 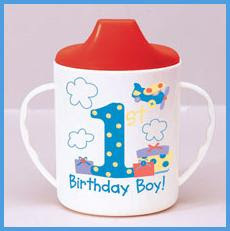 The boy's mother had sent his sippy cup to the bar to be filled with apple juice. When the boy started to make faces and push the cup away, the woman opened the cup to inhale the sweet delicious scent of tequila. The boy later became ill and was taken to the hospital. Applebees has claimed that it was an honest mistake and the result of keeping their margaritas and apple juice in near identical containers behind the bar. Lesson Learned! A Margarita is probably better for him than most stuff he could eat at Applebees. Anyway, don't forget that, in their infinite generosity, Applebees has footed the bill for all of the boy's medical expenses related to this incident. Thank God for that. I wish that I had been that toddler and gotten a free margarita before I was 21.